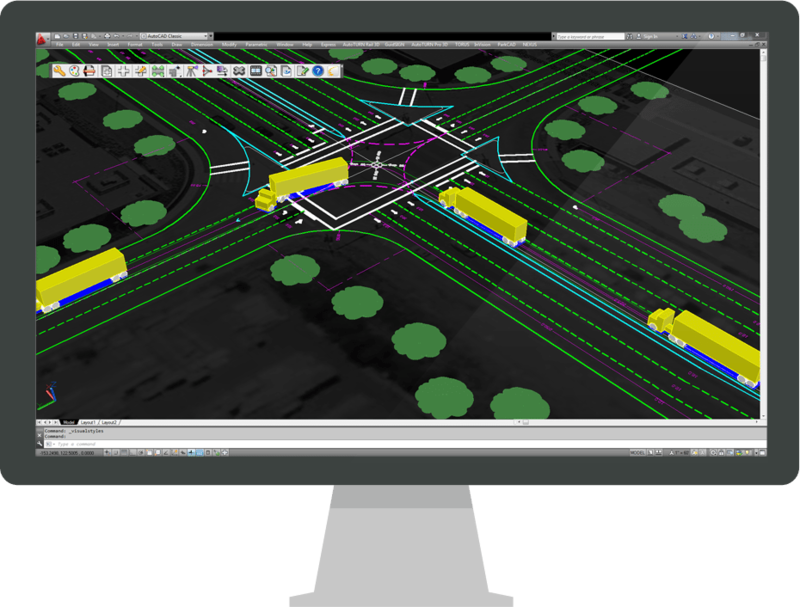 NEXUS® modernizes the way engineers plan and design roadway intersections. As each design component is related and dependent on each other, NEXUS allows you to evaluate and monitor the performance of the entire design as changes are made. This speeds up the development of intersection geometry and surface draining in one single, and efficient solution. In addition, the extensive editing functions make design refinements quick and easy. What used to take hours or days can be done in a fraction of the time with NEXUS. NEXUS greatly assists in the creation of intersection geometrics and channelization details which in turn are based on operational needs and vehicle swept paths.